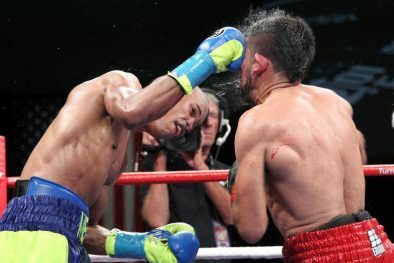 VERONA, N.Y. (August 23, 2013) – Photos by TOM CASINO / IRON MIKE PRODUCTIONS – International Boxing Federation (IBF) junior lightweight champion Argenis “La Tormenta” Mendez (21-2-1, 11 KOs) retained his title after battling challenger Arash Usmanee (20-1-1, 10 KOs) to an exciting 12-round majority draw in tonight’s “Tyson Is Back!” event, live on the ESPN Friday Night Fights 2013 season finale, at Turning Stone Resort Casino in Verona, New York. 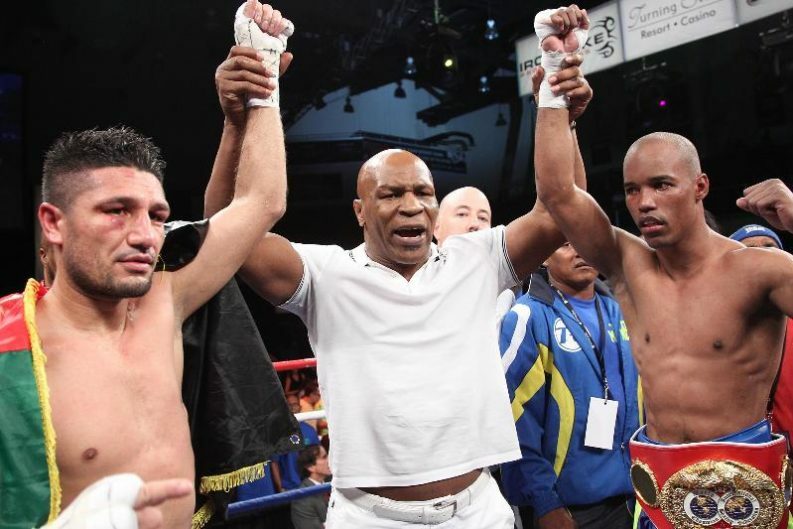 “Tyson Is Back!” was promoted by Iron Mike Productions in association with Greg Cohen Productions. A media poll heavily favored Mendez in scoring. In the co-feature, Argentinean Jesus Andres Cueller (23-1, 18 KOs) won a hard fought 12-round decision (116-111, 115-112, 114-113) over previously undefeated Claudio “The Matrix” Marrero (14-1, 11 KOs) in a back-and-forth action fight for the vacant World Boxing Association (WBA) Interim Featherweight Championship. 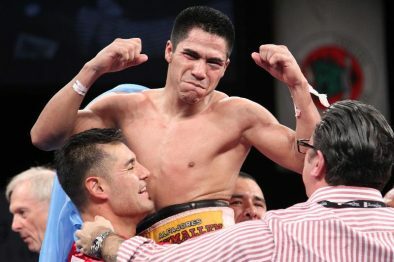 World-rated welterweight Eddie “The Lion” Paredes (34-3-1, 22 KOs) rolled to his12th consecutive victory, winning nine of 10 rounds on all three judges’ scorecards to earn 10-round unanimous decision over Mexican-invader Noe “Platnanito” Bolanos (24-9-1, 16 KOs). Paredes is one of only two 147-pounders rated among the top 15 in the four major governing bodies, as high as No. 3 in the World Boxing Council (WBC) and WBA. 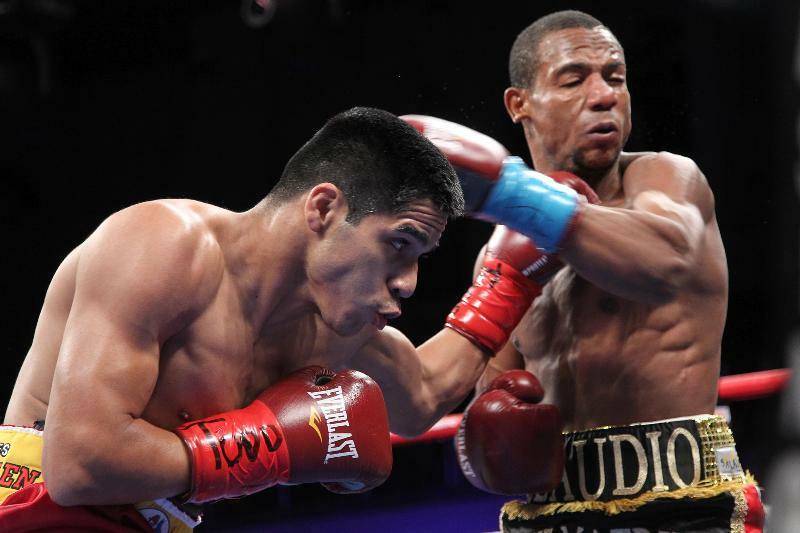 Cuban knockout artist Alexei “The Mexican-Cuban” Collado (17-0, 16 KOs) kept his perfect record intact as he broke-down junior lightweight Guillermo Sanchez (13-10-1, 5 KOs) and finished off the game Puerto-Rican fighter in the fifth round. Collado is rated No. 14 by the WBA and No. 15 by the IBF. Heavyweight Dorsett Barnwell (10-0, 5 KOs) remained unbeaten, stopping Marlon Hayes (23-13, 11 KOs) in the third round. Undefeated Antoine Douglas (9-0, 6 KOs) won all six rounds against super middleweight Edgar Perez (5-6, 3 KOs) for a win by unanimous decision.